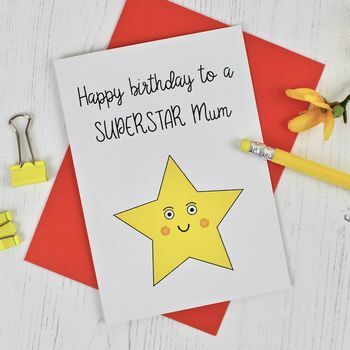 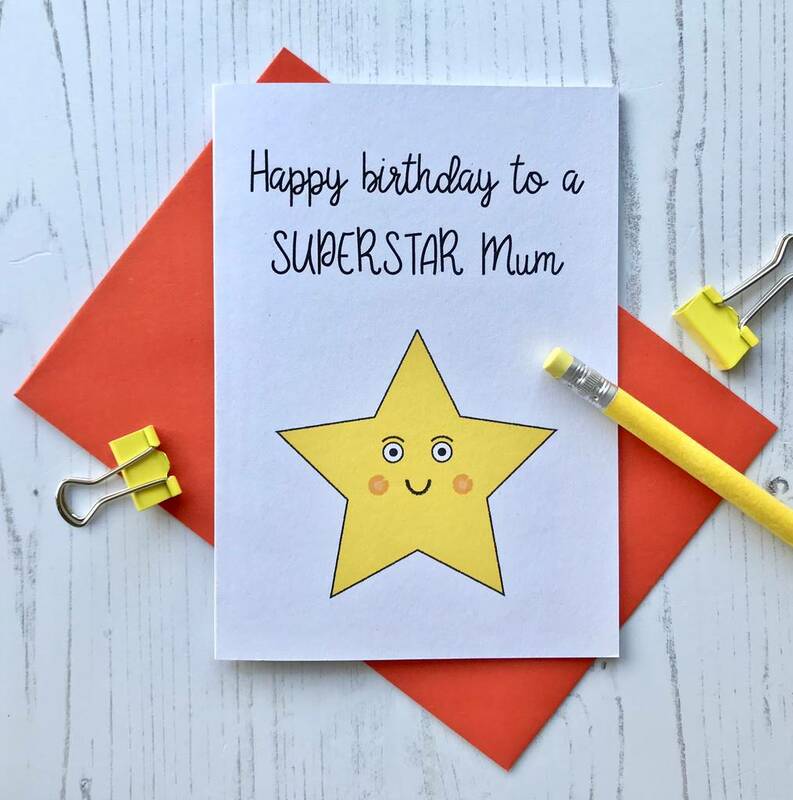 A cute star themed card for your superstar Mum to help celebrate her birthday ! It's printed on recycled card and is A6 size (10.5cm by 14.5cm). 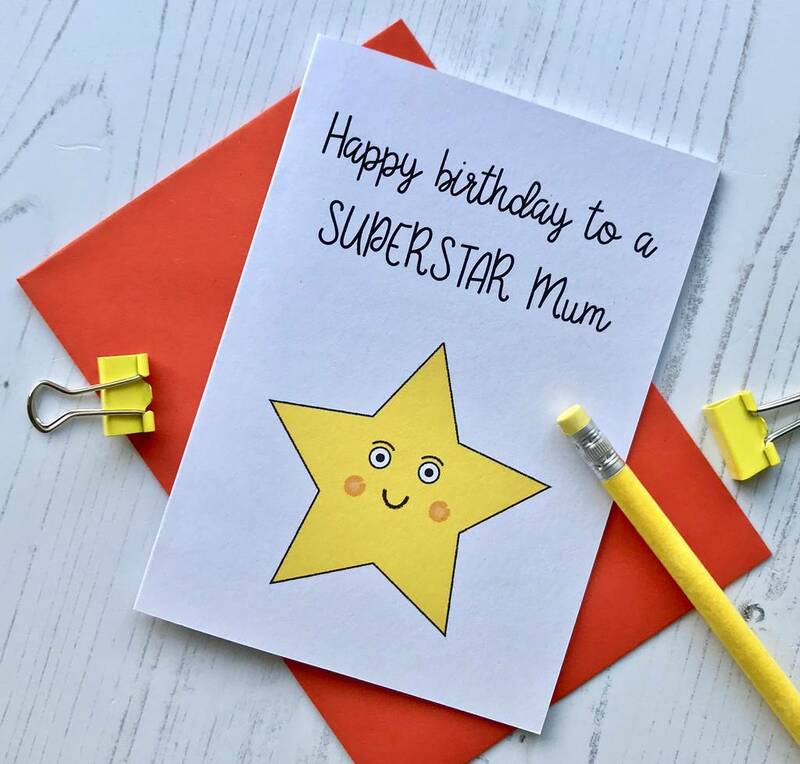 It comes with a good quality coloured envelope and will be well-packaged to ensure it arrives in perfect condition.